Location: University of Maryland, Baltimore County (UMBC), Sherman Hall Building, 1st Floor – SHER 003. Driving directions: UMBC 1000 Hilltop Circle, Baltimore, MD 21250 Administration Drive Garage. upper Admin Drive Garage or Hilltop Circle parking spaces A & D. Do not pay for the visitor spaces, no permit is required. Walking from Administration Drive Garage directions: Sherman Building at UMBC. Attendees who are part of the UMBC community: Please click the “Going” button below. Attendees outside the UMBC community: Please email promisestaff@gmail.com with Subject line: “Stoop Stories – Registration” and the following details in the content of your email: Name, Department, University. In this lively and informative workshop, you will learn how to harness the power of true, personal storytelling to create an engaging and accessible story about your research focus, project, or goals. Workshop includes lecture, discussion, and a chance for everyone to share a 3-5 minute story and receive feedback. Please bring paper, pen, and a willingness to experiment, with you to the workshop. Participants will learn to use the tools of true, personal storytelling to create and share an engaging and accessible story about their research focus, project, or goals. enhance their understanding of true, personal storytelling as a powerful tool of communication to engage and connect with a variety of audiences, and explain complex issues in an accessible and relatable way. improve their ability to identify and enact the principles of powerful true, personal storytelling. create a 3- to 5-minute engaging true, personal tale that illuminates their research focus and findings. share that personal research tale with a group of peers and receive feedback. 12:15 PM – 01:30 PM – Breakout into groups of 20 people to share stories. Eat box lunch in rooms. Laura Wexler is the co-founder and co-producer of The Stoop Storytelling Series, a popular cultural event and podcast in which “ordinary” people tell extraordinary true tales about their lives. 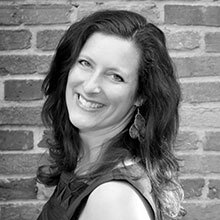 Since 2006, Laura has presented workshops in true, personal storytelling for a range of organizations, businesses, and individuals. Her storytelling curriculum is based on 10 years of teaching memoir writing at the collegiate and graduate level, and her experience coaching nearly 2,000 people to tell the true, personal tales of their lives. In addition to her work with The Stoop, Laura is the author of the narrative nonfiction book, Fire in a Canebrake: The Last Mass Lynching in America (Scribner), as well as nonfiction published in The Washington Post Magazine, The New York Times, and elsewhere. She has developed a TV pilot for Amazon Studios, and is currently writing a narrative feature. She and her writing partner wrote and produced a Virtual Reality film that world premiered at Sundance Festival 2018. Laura Wexler’s photo and biographical information are the property Stoop Stories, and Johns Hopkins University, where Wexler is a member of the adjunct faculty.